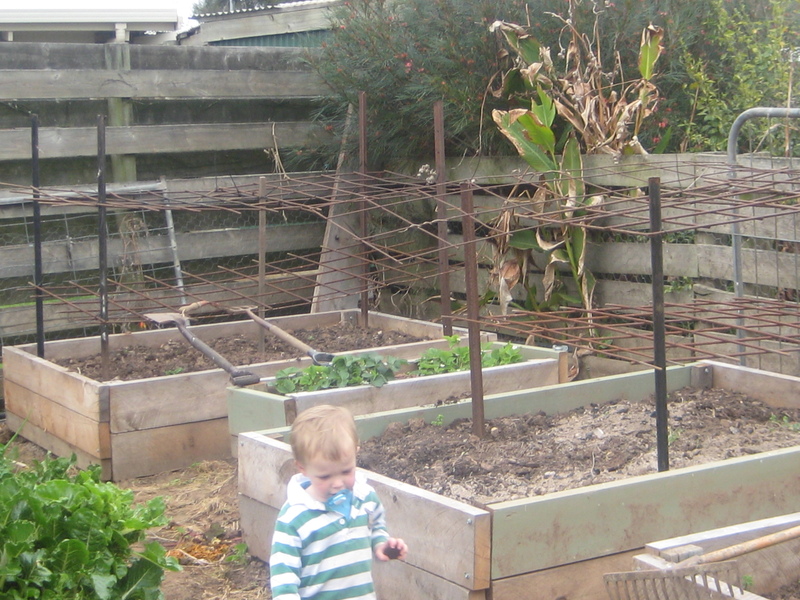 Mason just checking that my tomato frame is ok. Love reinforcing mesh in the veggie garden, seems like an odd pair, but a true veggie garden is built with love and lots of leftover bits. 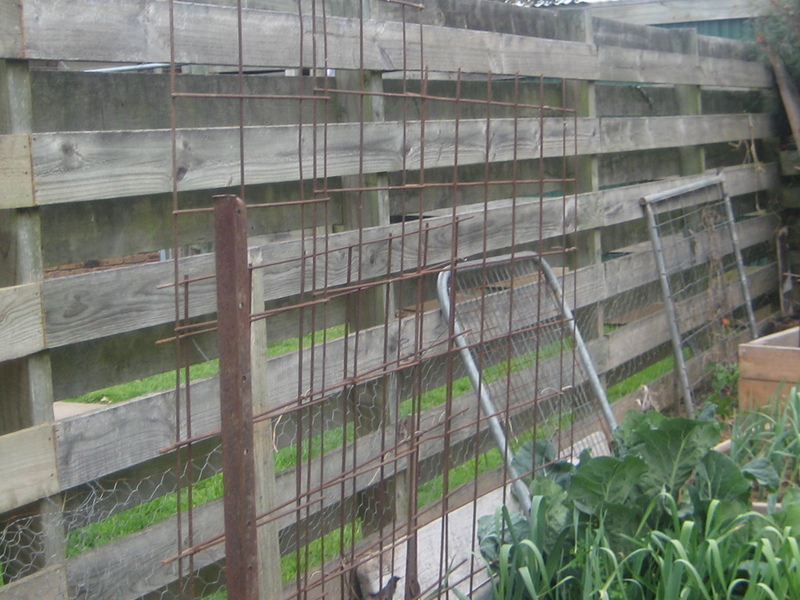 Reo is great for Scythian that climbs and great for tomato frames, I use 2 layers, so I don’t have to stake the bushes- its either through sheer laziness or intelligence, probably the first option. It works great- my mate form Ballarat shown me this artform. Tomato’s are the greatest gift that the veggie garden can give you as far as products go- fresh, chopped then there is sauce, puree, soup, pasta sauce, sun dried- its such a used fruit. Bring on spring- think I will end up with 4 different types, some for fresh but mostly for the products to follow. The leftovers waiting to be harvested- its been a good winter season with some really big broccoli giving us plenty of greens. 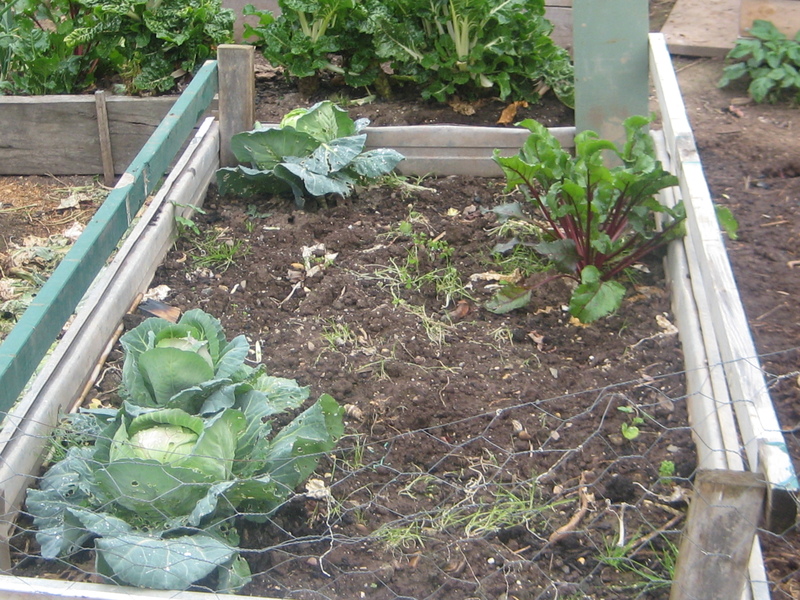 Cabbage has been a real winner and love the softness when its cooked in chicken soup. 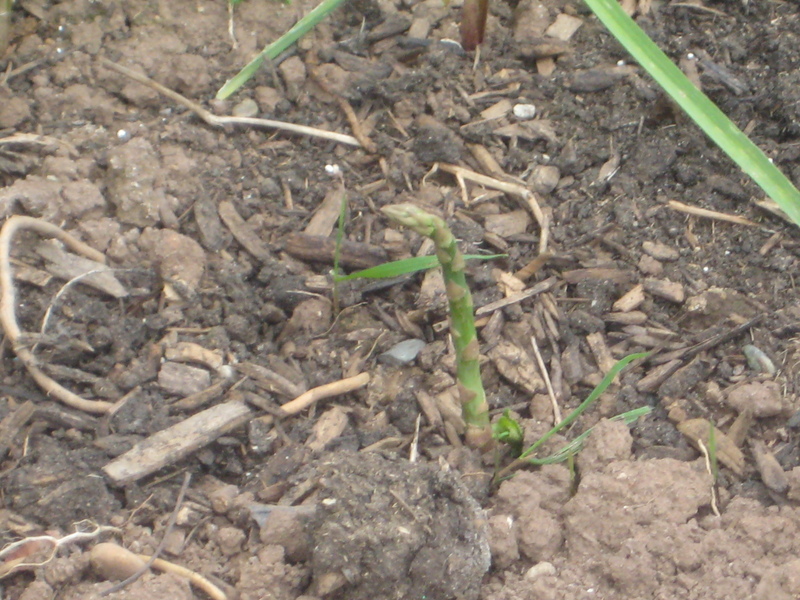 The new sprouts of asparagus- what a versatile vegetable, eat straight from the ground, cooked in the fry pan, steamed, boiled- dont care how it comes just get it into you.